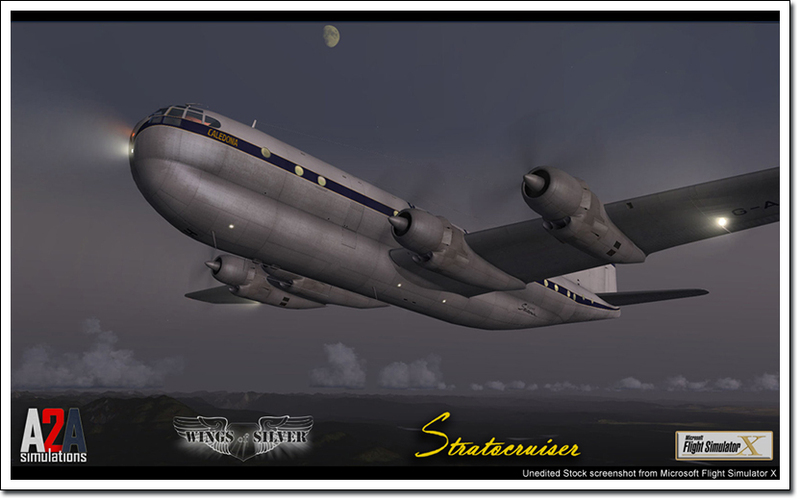 Produktinformationen "Wings of Silver B377 Stratocruiser"
The Boeing Stratocruiser is a double-deck, pressurized, four-engine, medium to long range, high altitude, high speed, commercial transport plane. The airplaph, a service ceiling of 34,000 feet, and a maximum range of approximately 4,000 miles. To its passengers, if flne is designed for a normal gross weight of 147,000 pounds, a high speed of approximately 350 mew them in first class comfort higher, faster, and farther than anything before. The 377 paved Boeing’s entry into the airline business, and you can still see this technology in use today. 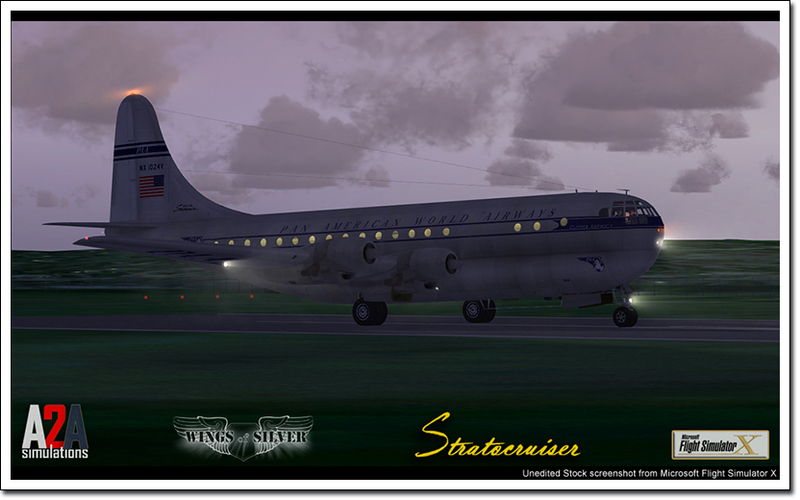 The Stratocruiser and its massive Pratt & Whitney R4360 engines, represents the highest step in the evolution of aircraft piston-engine technology. 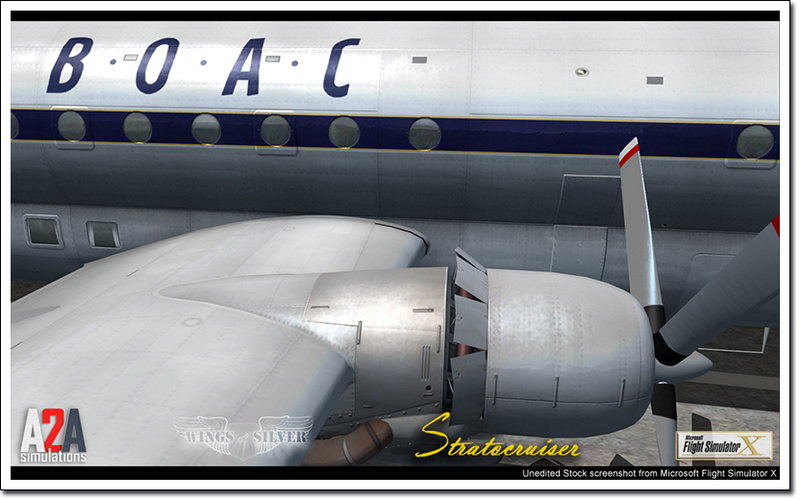 These engines were so powerful, that this huge Stratocruiser set the transcontinental speed record from Seattle to D.C.; beating both the Lockheed Constellation and the North American P51 Mustang. Even by today's standards this aircraft has amazing performance. There is also a Pregnant Guppy variant that was custom-made to transport rocket components for the Saturn V to NASA. You have to see it fly to believe it. 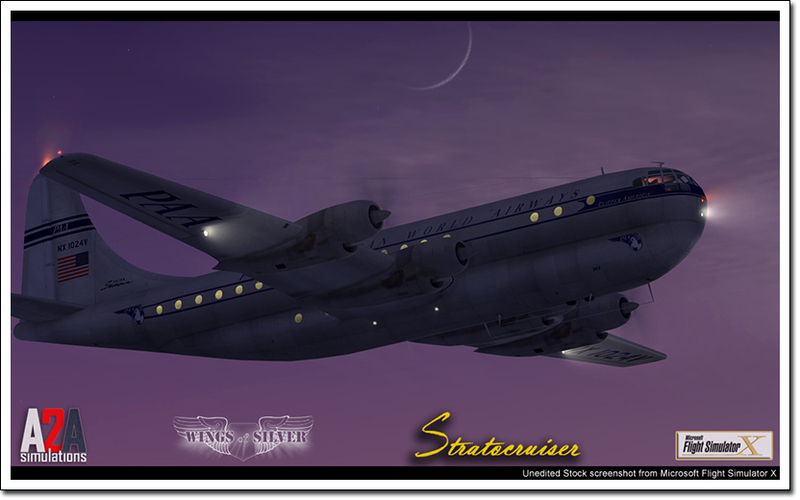 A2A Simulations has crafted and pioneered many new technologies for this aircraft which has become the flagship of the Wings of Silver line for Microsoft Flight Simulator X. 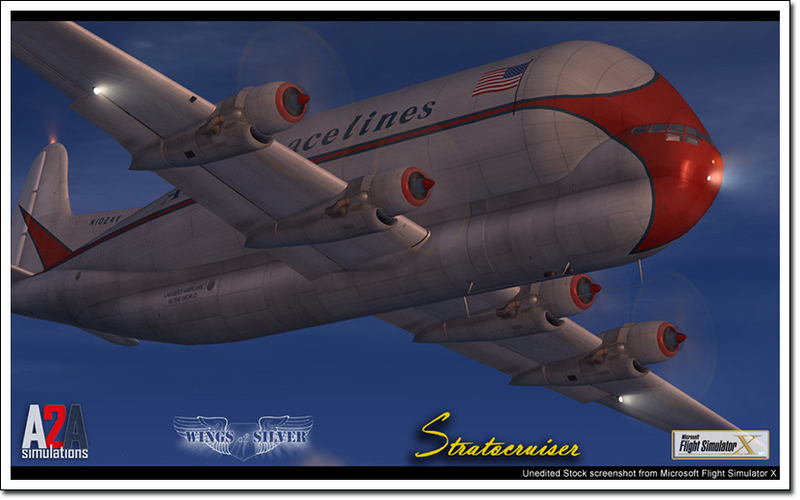 Never before has the team worked so diligently to produce what we feel, and you may agree, is the most accurate representation of a true “classic” airliner. 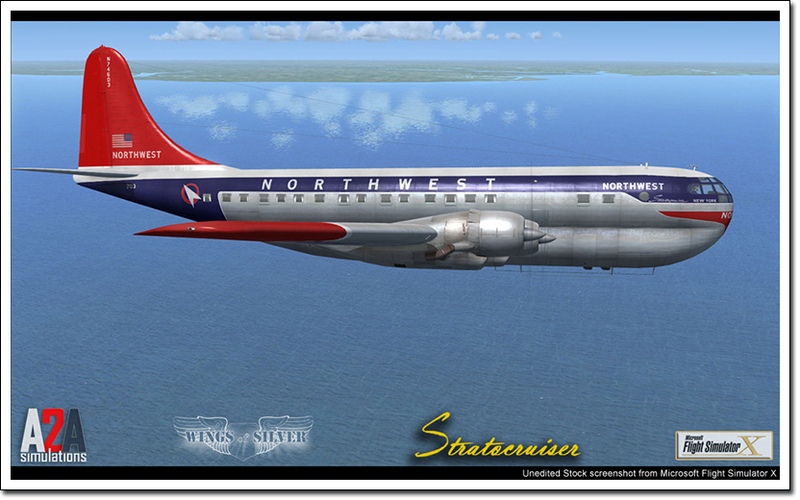 Designed and created by Boeing, the world’s premier large 4-engined aircraft builder. 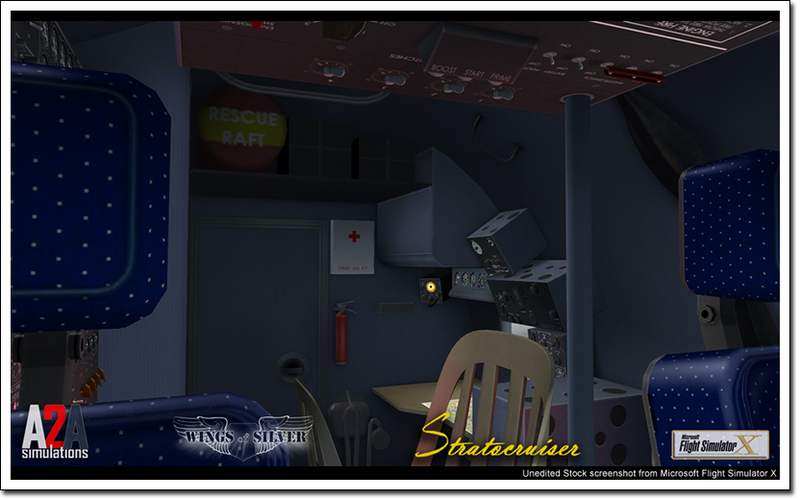 Four crew positions – pilot, co-pilot, flight engineer, and navigator. 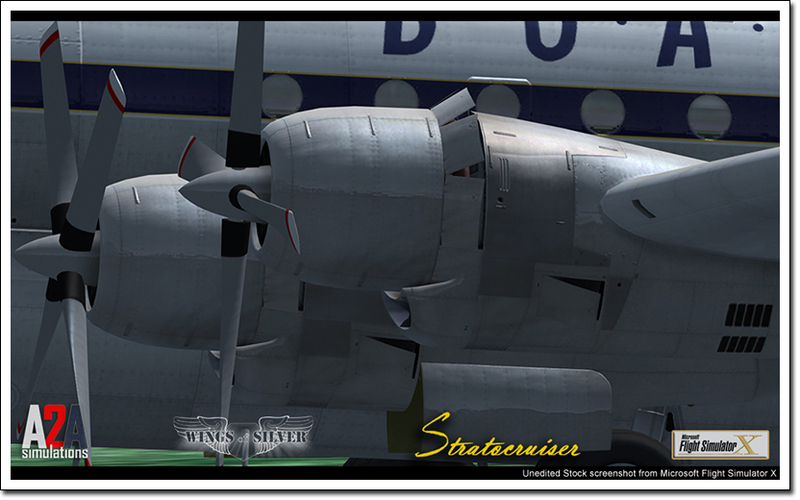 Fully modeled and functioning positions constructed with down to the rivet detail. The 3,500 horsepower Pratt & Whitney R4360, the world’s most powerful piston aircraft engine ever produced. See the world like you have never seen it before through 19 cockpit windows for unprecedented visibility. Fly high and fast. 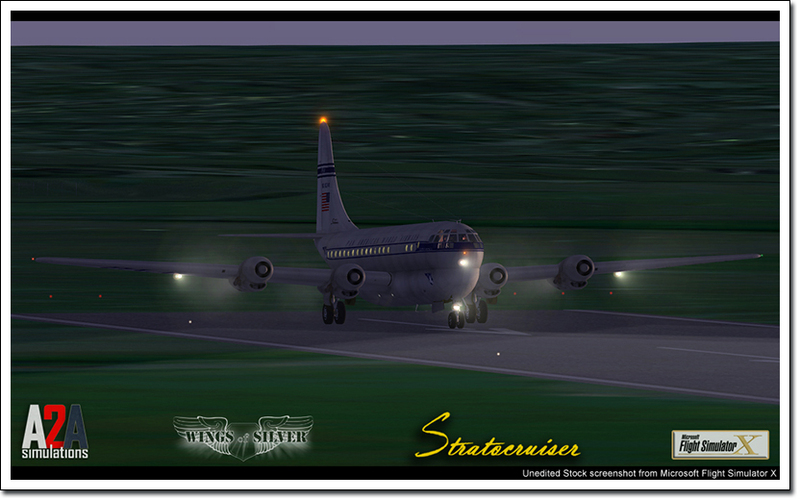 Fly above the bad weather and cover the ground at 350 mph. Double-decker airliner carries almost 100 passengers in first class comfort on a level never seen before or since. Built to be flown "By The Book." 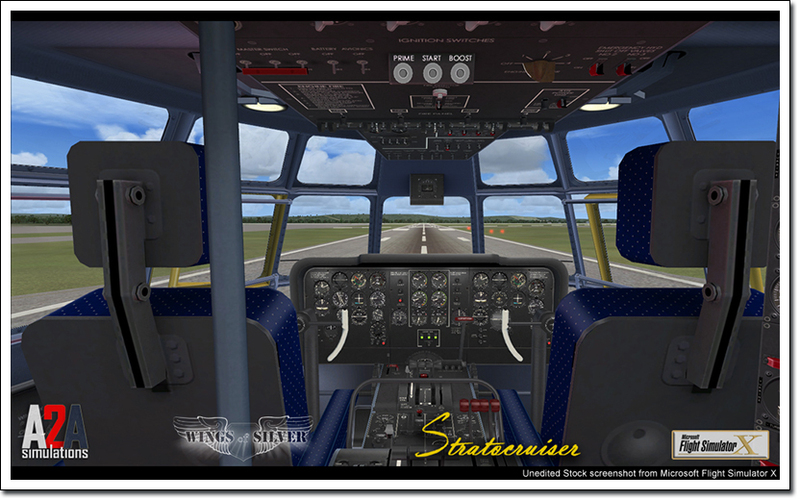 Fully clickable cockpits with authentically working systems and gauges. The latest wind-tunnel technology creates fluid flying qualities. Red, rotating double sided mechanical beacon. Under-wing landing lights than can be turned on, deployed, and retracted. Nose-gear mounted taxi light that even shoots a downward beam from the undercarriage doors as it deploys. 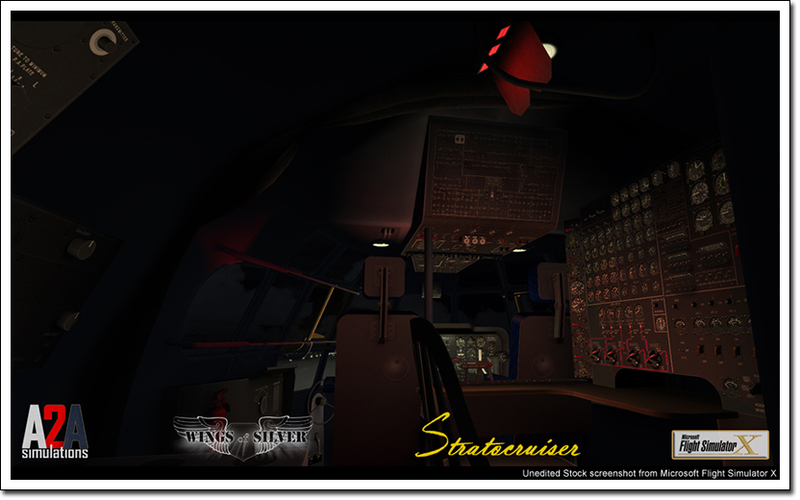 Passenger and cockpit lighting for stunning visuals at dawn, dusk, and night. Natural 3D appearance with exceptional performance. Realtime Load Manager, with the ability to load individual passengers or select presets. Historically accurate Eclipse-Pioneer PB-10 (autopilot) which looks and functions like the original. 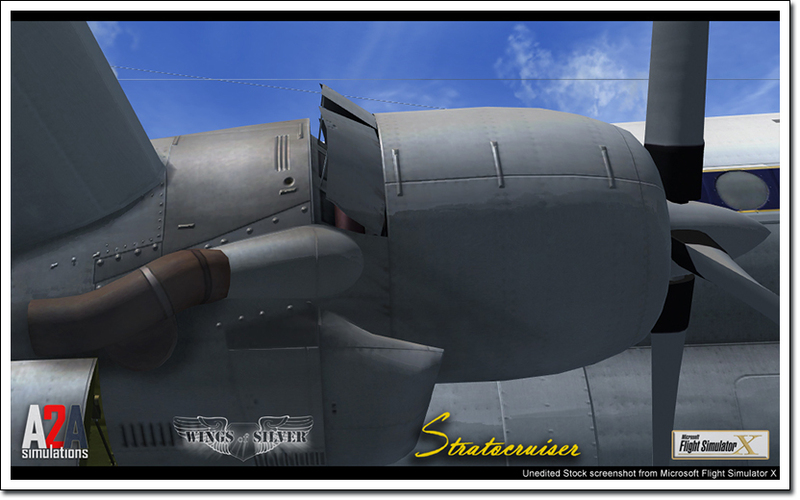 Twist the hand lever to bank, scroll wheel to adjust pitch, and toggle "Altitude Hold" switch. Auto-Mixture that actually performs as intended. 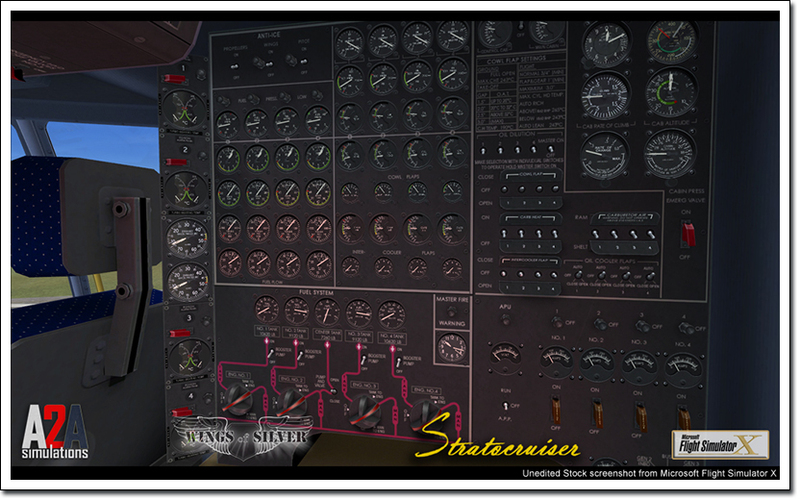 Now you can set for “auto-rich” or "auto-lean" and the aircraft fuel to air ratio will be automatically determined and set by the carburetor based upon various factors such as altitude. Extensive Fire Extinguisher system with fully functioning overheard panel and controls. On-board Auxiliary Power Unit (APU) to power systems with engines off and not drain the battery. Cabin pressurization system controls. You control the target altitude and the rate of pressure change and the system authentically displays and manages cabin pressure. Hydraulically powered steerable taxi wheel, brakes, emergency brakes, rudder boost, and windshield wipers. Bulging tires when placed on the ground with weight. Pregnant Guppy aircraft included with authentic cockpit, systems, and performance. 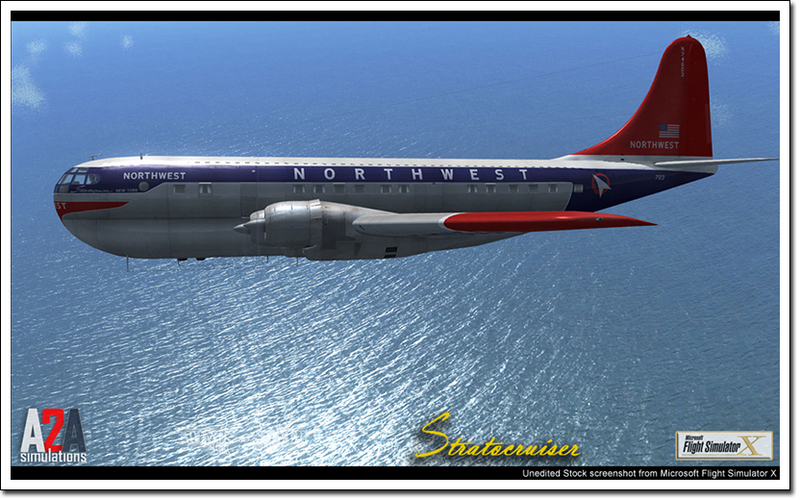 Five different liveries including Northwest Airlines, British Overseas Airways Corporation, United Overseas Airlines, Pan American Airlines and Aero Spacelines (Pregnant Guppy). All models include bump mapping and specular lighting. Pop-up 2D clip board to help calculate center of gravity, ground speed and other important factors for flying. Custom Navigator's map accessible via keystroke or the Navigators station. 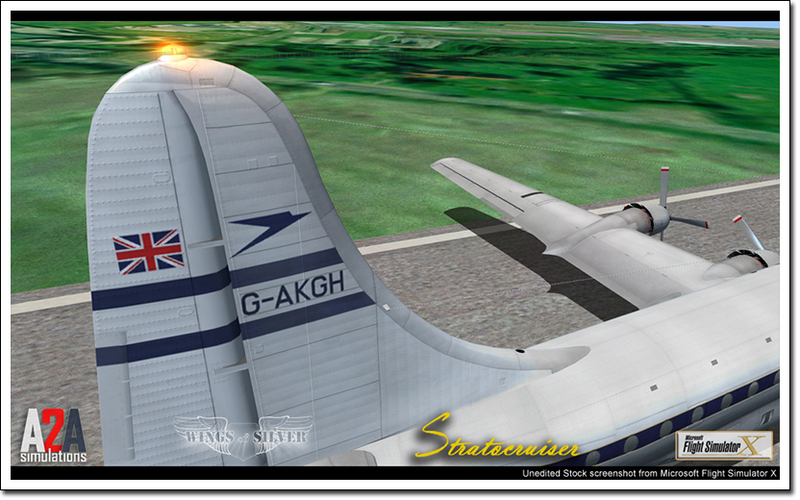 Authentic A2A Simulations 3D engineered sound for FSX. 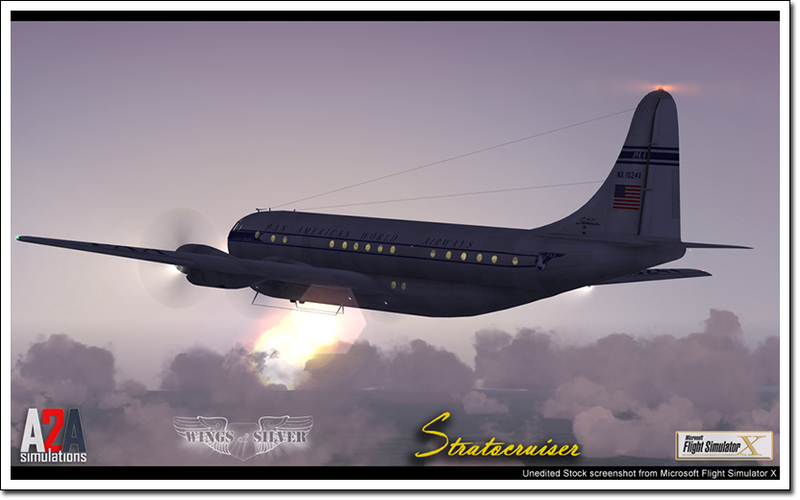 Note: while the A2A Wings of Silver Stratocruiser may work with SP1 or earlier, many of the features may not work correctly if at all. We cannot attest to the accuracy of the flight model or aircraft systems under such conditions, as it was built using the Acceleration/SP2 SDK. 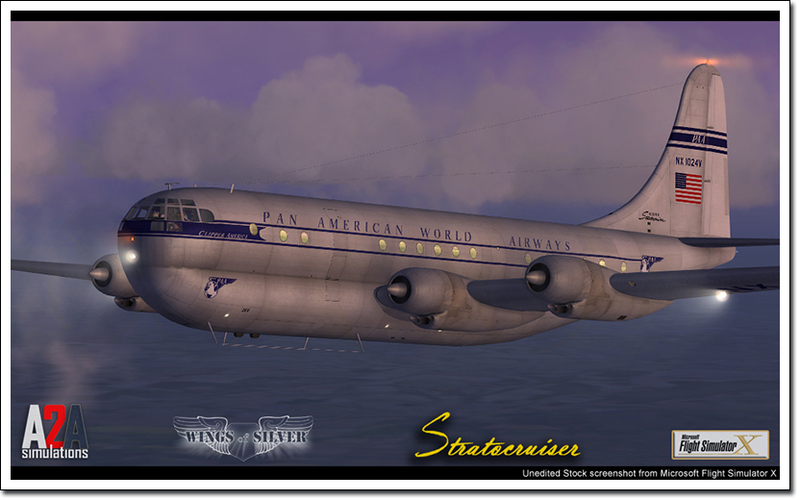 Weiterführende Links zu "Wings of Silver B377 Stratocruiser"